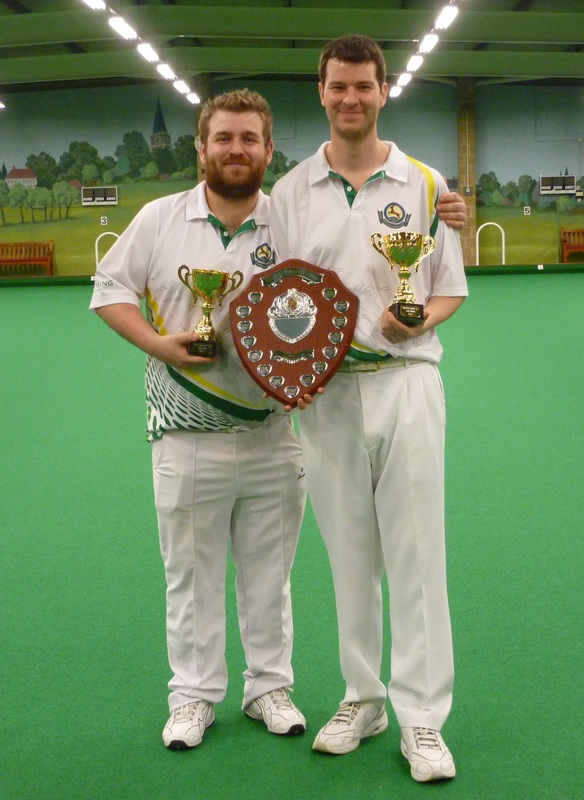 Bowlers make progress in The National Finals. Andy Law & Lee Barber won today and moved into the last 16 of the National Pairs being played at Melton Mowbray. They won a close contest against Featherstone IBC from Yorkshire, and play Cyphers IBC from Kent, tomorrow morning for a place in the Quarter Finals. Well done lads. 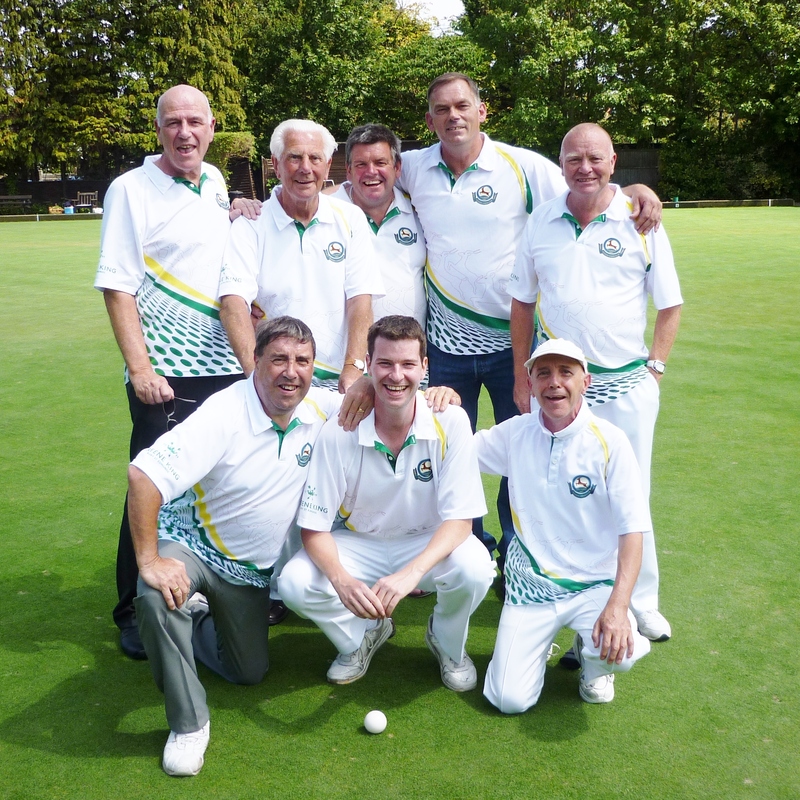 The Club reaches Major Bowls Final. The men have reached the Final of the London & Southern Counties Indoor Challenge Shield for the first time in the Club’s history. On the way, we have beaten much larger Clubs who have many more players to choose from. It is a fact that we have one of the smallest memberships in the country, and that makes it all the more of an achievement. Home Rink 1: J. Miller, B. Atherton, L. Massey, A. Harman. Home Rink 2: C. Mason, M. Ridler, A. Frankland, R. Anderson. Away Rink 1: E. Carnihan, G. Salter, G. Lawrence, N. Edwards. Away Rink 2: R. Young, S. Griffiths, A. Law, L. Barber. The Final is against Victory I.B.C. from Portsmouth, and is on Saturday 14th March at Watford I.B.C. – 10.00am. Congratulations to Lee Barber – England Under 25s Trials. Lee Barber has been selected for the England Under 25s International Trials. They take place on Sunday 23rd November at Melton & District IBC. 1.00pm start. Good Luck Lee. 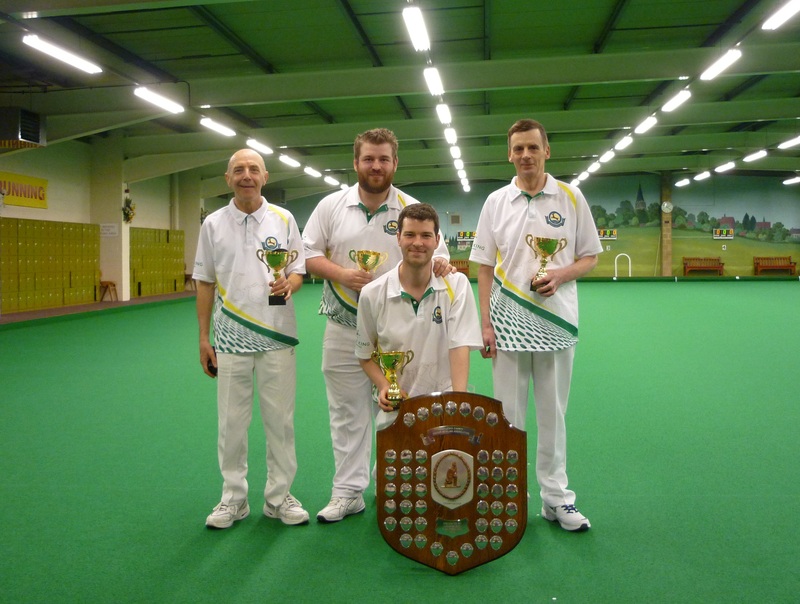 More Silverware for the Bowlers at The NLTBA Finals. Mixed Pairs Winners: V. Bartrop & M. Ridler. 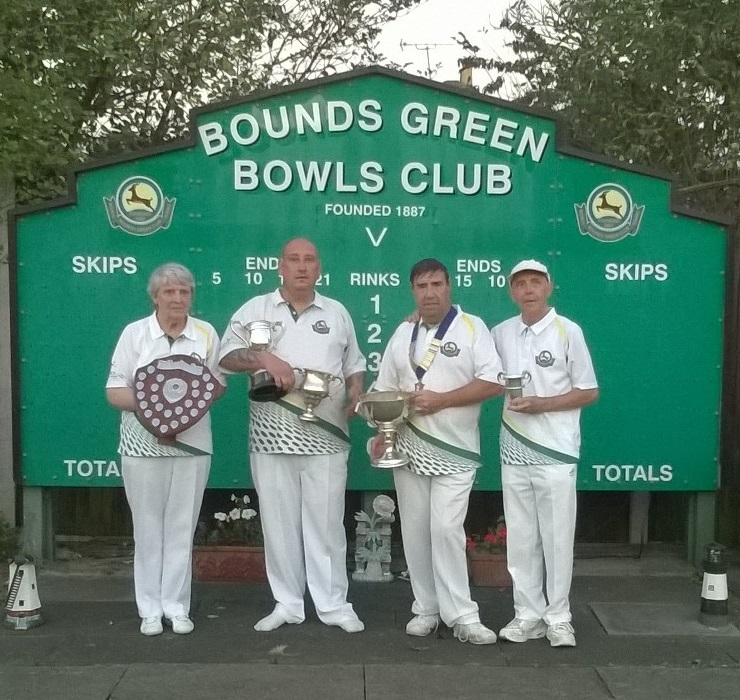 Open Fours Winners: E. Carnihan, M. Ridler, S. Griffiths & G. Lawrence. Open Triples Winners: E. Carnihan, S. Griffiths & M. Ridler. Secretary’s Cup Winner: S. Griffiths. Men’s Singles R/U: M. Ridler. Men’s Championship: G. Lawrence v N. Edwards. Ladies Championship: R. Rolfe v P. Harber. 2 Wood Singles: L. Foreman v M. Ridler. 2 Wood Pairs: C. Mason & K. Malcolm v A. Milligan & R. Anderson. Vets Championship: E. Carnihan v S. Griffiths. Junior Championship: S. Griffiths v R. Hill. Mixed Pairs: J. White & G. Lawrence v J. Nunn & M. Ridler. 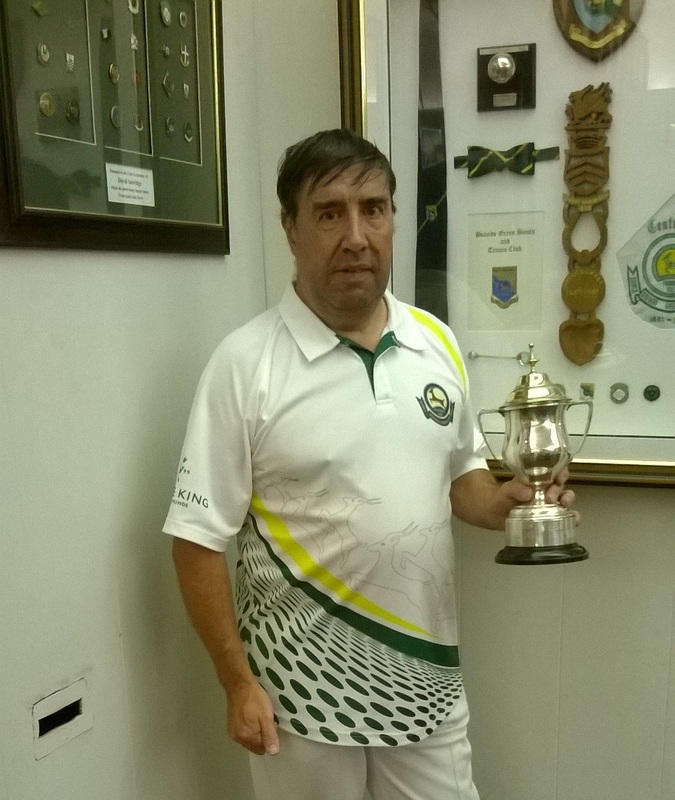 Handicap Singles: M. Ridler v C. Chrysostomou. Handicap Pairs: R. Hill & R. Anderson v A. Bannister & S. Griffiths. Middlesex Final – Epic win. Bounds Green v West Ealing “A” played at Selborne B.C. 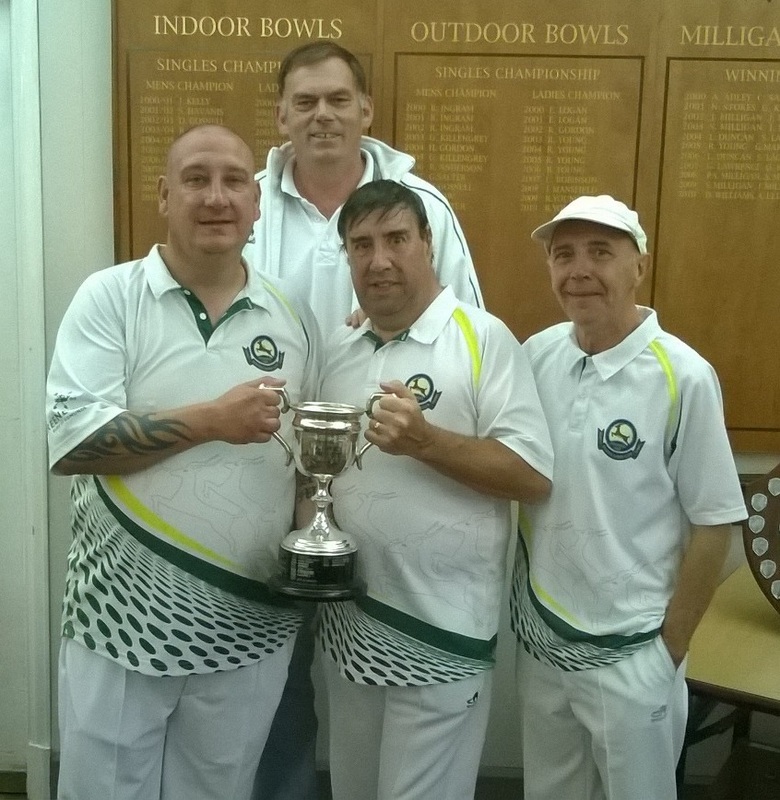 The men won the Middlesex Double Fours after being 24 shots down at one stage. Rink 2 got off to a very poor start and were losing 16-3 after 11 Ends. Rink 1 started much better but started to slip behind as the game reached halfway. But this was a classic game of two halves, particularly for Rink 2. They won 8 of their next 9 Ends, and were ahead 29-17 after 20 Ends. With Rink 1 having lost by 12, the match was tied with just one End to play. Rink 2 held their nerve and won the final end by 4 shots. A great result for the Club. Special thanks to Ivan “The Silver Fox”, who stepped in at the last minute. Rink 1: R.Young, I.Fox, G.Lawrence, N.Edwards. Rink 2: E.Carnihan, S.Martin, S.Griffiths, R.Anderson. Other members of the Squad: A.McAskill, M.Ridler. Final of the Middlesex Double Fours. 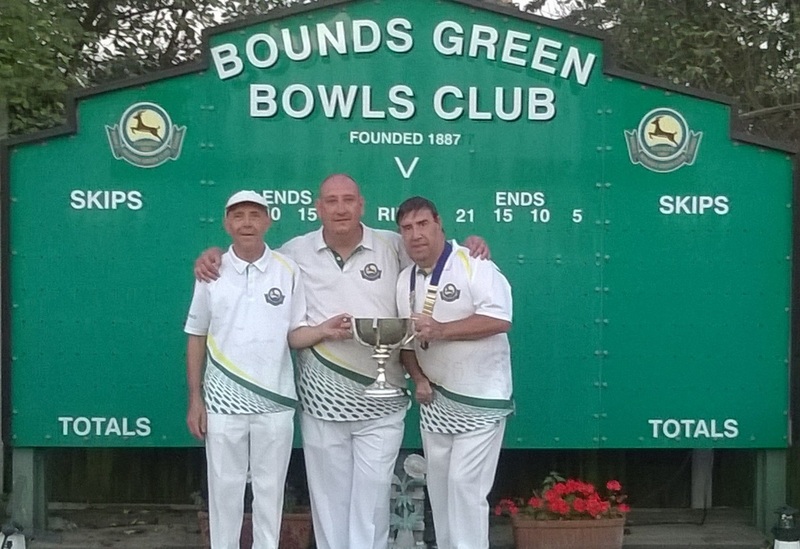 The men play the Final of the Middlesex Double Fours on Sunday 27 July at Selborne B.C. Match starts at 9.30 AM. Squad from: R.Anderson, E.Carnihan, N.Edwards, S.Griffiths, G.Lawrence, S.Martin, A.McAskill, M.Ridler, R.Young. The finals took place on March 22nd. Thanks to Dave Woodhouse for organising the competition, and Steve Martin and helpers for organising the food. Also the markers, Steve Martin, Chris Van der Waals and Colin Harris. Bowlers in Middlesex clean sweep. 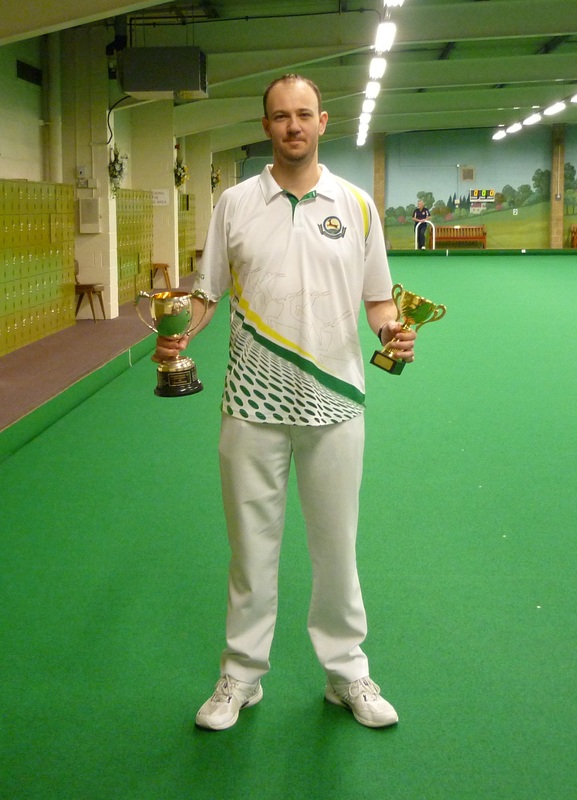 Bounds Green pulled of an historic clean sweep at the 2013/14 Middlesex Indoor Finals which were held at Herga IBC on March 8th. Pairs: Lee Barber & Nick Edwards. Triples: Steve Griffiths, Geoff Lawrence & Bob Anderson. Fours: Eddie Carnihan, Geoff Salter, Nick Edwards & Lee Barber.